One of the first posts I wrote for Fit is a Feminist Issue was about my desire to allow myself to be *seen* at Taekwondo this year. In that post, I mentioned that I wanted to be more willing to lead the warm-up, to be the person who demonstrates, to put myself ‘out there.’ In short, I want to take more personal ‘risks’ in class, to deal with the possibility of doing it wrong or making a fool of myself, all in the service of learning. And I very, very much want to learn. Now, I’m not usually a ‘go big or go home’ person. I like to take things in small steps, so I have been working on this ‘being seen’ project in small ways over the last couple of months. Since it is a bit tricky for me to turn knowledge of a movement into the movement itself, I often shy away from the opportunity to do a new movement from a pattern in front of my instructor. That’s not so much about not wanting to make a fool of myself, it’s more about not wanting the instructor to think that I am not trying hard enough or that they didn’t get through to me. However, recently, when shown new moves, I have gritted my teeth and done them anyway, no matter who could see me. It’s been painful, and I have not enjoyed it, but, it is working. I can get feedback right away and I can do a better job with my patterns sooner. Being willing to be seen while practicing kicks and punches is also serving me well so far. A couple of weeks ago, we were practicing the punches and kicks I will be using for my third degree test (which will be some time in the next year) and I made some choices that were stressful but useful for me. One of the kicks is a particular challenge for me – spinning hook kick. I can do a hook kick and I can do a spin, but bringing them together has been, well, interesting. (Let’s just say that the only thing that could make it harder is if I had to perform it to music.) 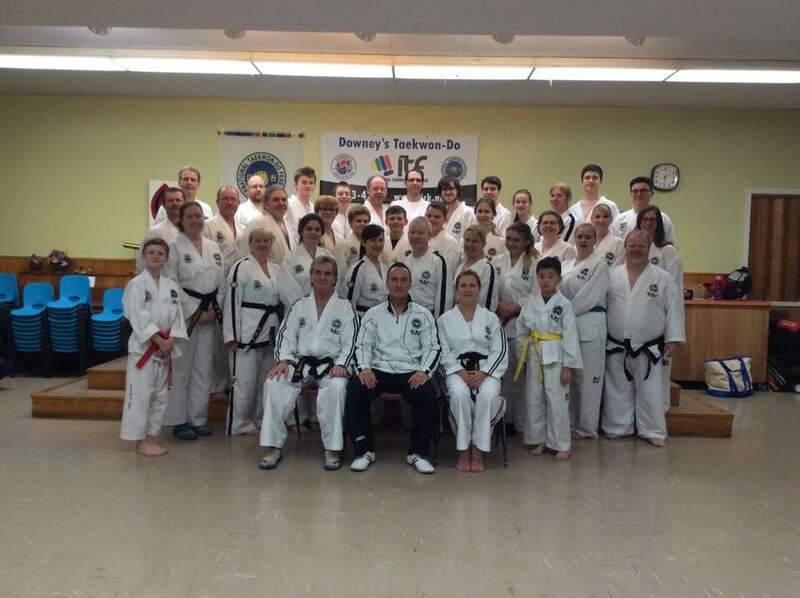 In this particular class, I deliberately chose to join the group of black belt women that included my instructor – so I knew I would have to demonstrate the kick in front of her. And, I knew I would get detailed corrections. It was hard but I went through with it and made some great progress. Now, I know how to practice that kick effectively at home. That same night, with that same group, I learned and practiced a new set of punches. * I had never done those specific moves before but because of my commitment to being seen, I decided to go all in. It will come as a surprise to no one (except a part of my subconscious) that you can do a move terribly, in front of someone who is working hard to instruct you, and you won’t faint or throw up. In fact, the only result was learning how to actually do it. I started out feeling ridiculous, but by the time that part of practice was over, those punches were starting to seem like something I could get good at. This is HUGE. 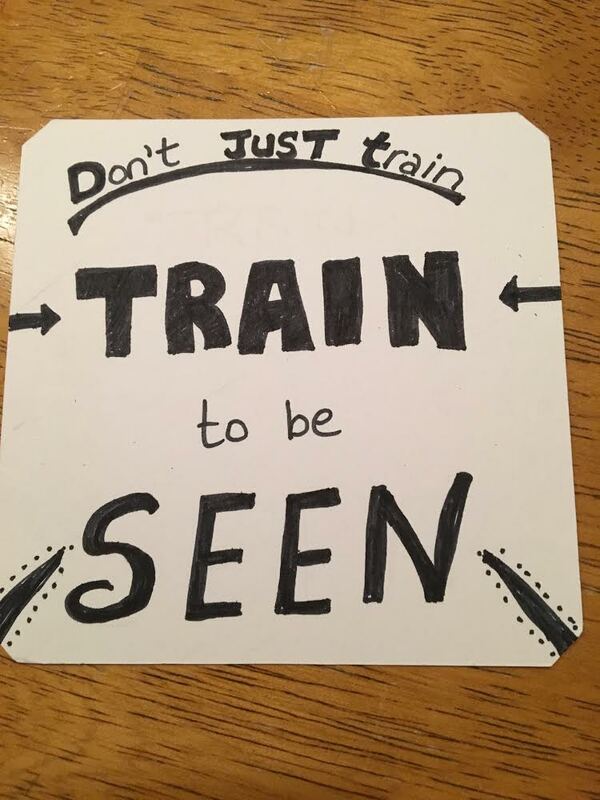 Being seen in class is one level of stress, but, last weekend, I committed to a whole other level of stress – I attended a sparring seminar with a visiting instructor. So, not only would my brain be freaking out about trying to learn new things, it would also be freaking out about embarrassing my instructors in front of a visiting Grand Master, and about potentially doing something ridiculously poorly in front of him. These are not reasonable fears but they took up a lot of space in my brain all the same. Despite all of these fears, I have committed to being seen so I decided that no matter what happened, no matter what I was asked to demonstrate, I was going to attempt it. I’m proud to say that I did what I set out to do. I’ll admit that I quietly grumbled my way through one set of exercises I couldn’t make sense of. Luckily, my practice partner is used to me and didn’t hurt himself rolling his eyes at my foolishness. (Thanks, Kevin!) Maybe not my finest moment but I am not being too hard on myself about it because I kept trying. And, when I had to do one running exercise, I did have a face of thunder, but that was because I was irritated at myself for not being able to grasp what I needed to do. But, I kept doing it, even though I was frustrated. After all, I’m a big girl, a bit of frustration is not going to stop me. Getting frustrated at myself didn’t negate my effort to be willing to be seen, and I’m pleased that I stuck with it. Even when another exercise left me with a hip spasm, I just stretched it out and then jumped back into the seminar. My big test of being seen came about about halfway through when Grand Master Laquerre asked me to hold the kick pad for him to demonstrate a move. That may seem easier than being the person demonstrating but it was still very challenging for me – I had to do something exactly right so he could teach effectively. ** If he had to spend a lot of time correcting how I was standing and where I was holding the pad, the seminar would be stalled. I didn’t shy away though, I just said ‘Yes, sir!’ and did my best to be in the right spot at the right time. I didn’t do it perfectly and I can’t remember if I bowed at the proper time (which makes me cringe a little), but I was basically where I needed to be when I needed to be there. So, I was seen, I was imperfect, and I was fine. Everything seemed a lot easier after that, the hardest thing had already happened and I had survived. The fact that Grand Master Laquerre went on to say that, in sparring, there isn’t a ‘right’ move to make for a specific target, there is just the move that scores a point, helped to reinforce that I could just let go of my notion of needing to do things perfectly. The kicks I did in the next part of the seminar were some of the quickest and best I have ever done. So far, this ‘being seen’ thing is working out marvellously and my Taekwondo is improving as a result. Stay tuned for further updates as events warrant. *At the test, I will have two boards to break. They will be held one above the other and I will have jump up and punch the top one, then, as I am coming down, I will have to punch and break the second. I’ve been worried about this. **To be clear, I wasn’t the least bit concerned about him kicking me. A Master or a Grand Master has very good control of their kicks and I was not going to get hurt either way. I have spent the past 4 years getting comfortable with people looking at me at Yoga. I prefer to be at the back, anonymous, hidden. But Then started teaching and I couldn’t avoid it! I never expected to teach yoga…but things just conspired to get me to try and I never looked back. I most,y prefer to teach in a dim room, and I often find my own eyes are closed…somehow I feel like if I can’t see the class they can’t see me! Silly. But over time I have just found the anxiety of all eyes on my is much less. It sounds like you are taking steps to finding a way to be ok with the attention.